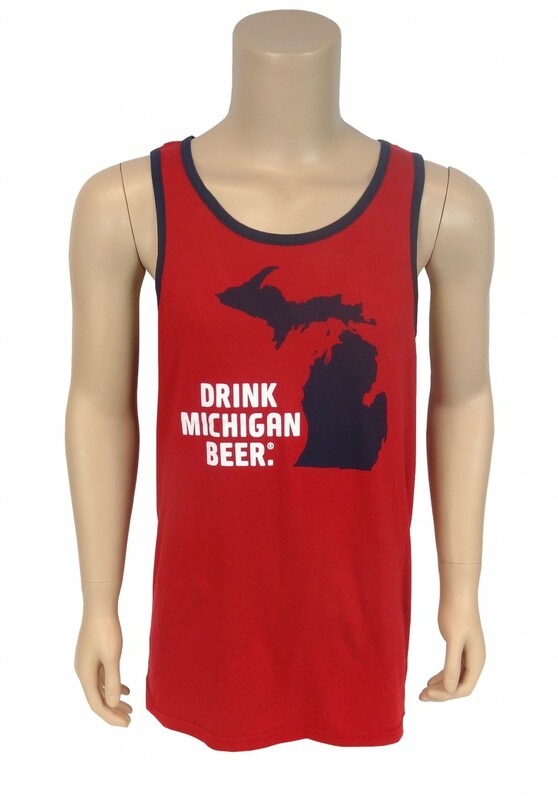 Click the button below to add the TANK TOP, MEN'S DRINK MICHIGAN BEER to your wish list. Lightweight 4.5 oz. 100% pre-shrunk combed ringspun cotton tank. Tubular construction, double-needle stitched bottom hem, bound self-collar and armholes in contrasting color with tear away label. 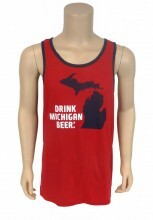 Independent Red/Navy trim with Drink Michigan Beer on front and Michigan The Great Beer State on upper back.